Blushes are an essential step for me when it comes to my makeup routine. 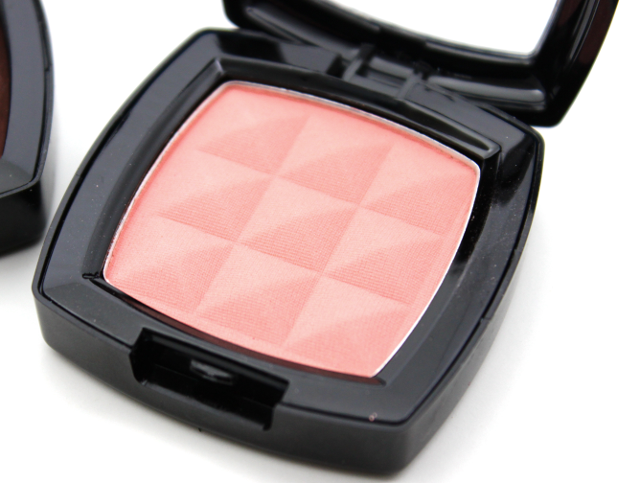 There is nothing like a good blush to instantly perk up and liven the complexion. 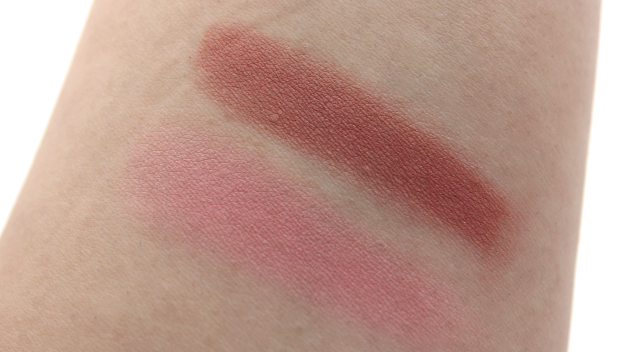 Today, I am going to be sharing with you all my two newest blush acquisitions from NYX-Nutmeg, and Angel. 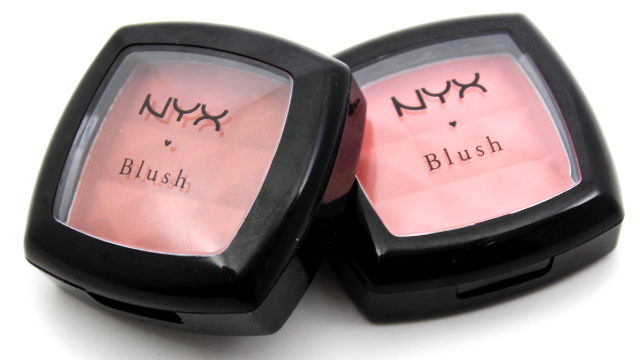 I have never tried NYX blushes prior to these, and I really don't know why because these are fantastic! Nutmeg is a dusty pink with brown tones and iridescent shimmers. This toasty color just evokes fall, and I have no doubt that I am going to be reaching for this one loads this season. My pictures couldn't quite capture the slight shimmers in this, but they are there. The shimmers aren't overbearing on the skin, though. They add a pretty radiant effect, which I think is the perfect touch. Angel is a light, soft pink that contains a matte finish. This one gives cheeks a soft color pop that's super flattering on, not to mention, natural looking. The color is easily buildable to the intensity that you desire, without ever looking overdone. If you are looking for a blush to compliment smokey eyes, I think Angel is a nice pick. 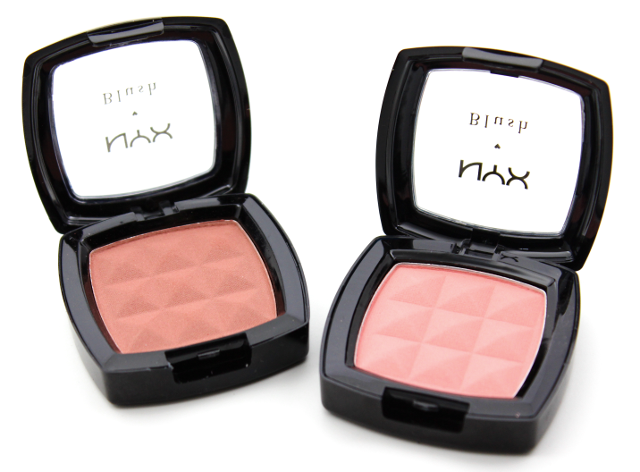 Both blushes applied beautifully and blended onto the skin effortlessly, thanks to their smooth, silky textures. But, I did notice that Nutmeg is a little on the powdery side. 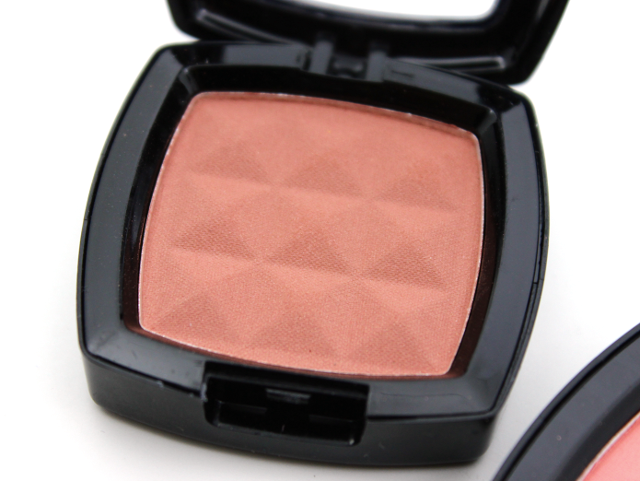 These blushes look very smooth on the skin, and they don't enhance any dryness or imperfections. The color payoff on these was nothing short of awesome. A little bit of product always goes a long way. And on my oily skin, these hang on for hours, with very little fading by the end of the day. I am very impressed with Nutmeg and Angel. These two are almost all I have been reaching for these past couple of weeks. I am obsessed! I love the smooth texture of the powder, the pigmentation, the way these flawlessly blend onto the skin, and it doesn't hurt that they are super affordable. I now get why these blushes receive so much hype in the beauty community. They really are amazing! Needless to say, I will definitely be picking up some more NYX blushes, soon. Have any of you tried NYX blushes before? Which are your favorites? I've tried the shade Mocha from them and its amazing! I'm afraid those two shades you have are either too light or dark for my yellow fair skin but I know these are amazing blushes! Glad you love them too! those are both beautiful! I am such a fan of NYX blushes! I am so glad to hear that you love them! Which ones are your faves?